The funeral service for Lowell P. Saterdalen, 77, of Stewartville,MN will be at 11:00 A.M. on Saturday (November 17, 2018) at Grace Evangelical Free Church in Stewartville with Rev. Paul Langmade officiating. Burial will take place at Woodlawn Cemetery in Stewartville. Mr. Saterdalen died on Tuesday (November 13 , 2018) of natural causes at the Stewartville Care Center, where he had been a resident since April of this year. Lowell P. Saterdalen was born on December 3, 1940 in Hastings,MN to Albert and Florence(Foss) Saterdalen. He moved with his family as a young boy to S.E. MN where his parents farmed and eventually moved to the Saterdalen Family farm in Rock Dell Twsp. 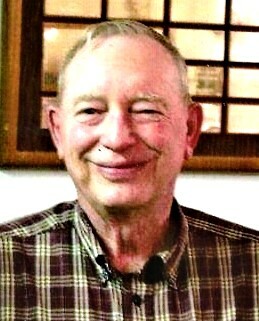 He grew up there, attended country school, played baseball with the Rock Dell Indians and attended Stewartville H.S., graduating in 1958. He attended Rochester Junior College in Rochester,MN for 1 year. Lowell was married on October 16, 1959 at the United Methodist Church in Stewartville to Dorothy Ann Murray. The couple lived in Stewartville where they raised their children and have continued to make their home for all 59 years of their marriage. In 1960, Lowell was employed at All American Coop in Stewartville for 10 years before earning his insurance agent license. He began a long career selling insurance for Lutheran Brotherhood, now Thrivent Financial, until his retirement in 2002. Dorothy was a homemaker and was employed at Mayo Clinic in Rochester for 13 years. He was a member of Grace Evangelical Free Church in Stewartville. He served as a board member for Rochester Area Youth for Christ and volunteered with the Stewartville Lions. Lowell and Dorothy were foster parents usually taking infants into their home, often for many months for New Life Homes and Olmsted County Social Services. Lowell was a very caring and giving man who loved the Lord with all his heart. Jesus was his personal savior who died and rose again. He loved music and had a beautiful tenor voice. Lowell enjoyed antiquing, going to auctions and flea markets and began One Man’s Treasure, setting up stands at area craft sales and antique shows. He enjoyed woodworking in his home shop repairing furniture and making gifts for family. He was an avid reader and enjoyed playing church league softball, back in the day. Lowell liked visiting with friends and loved time with family, especially his grandchildren and great grandchildren. Lowell is survived by his wife Dorothy, 5 daughters and 2 sons – Eric(Kris) of Stewartville; Andrew(Sue) of Lino Lakes,MN; Cama Saterdalen of Stewartville; Heather(Ryan) Johnson of Castleton,N.D. ; Amber(Todd)Rose of Mantorville,MN; Alyssa(David) Kodet of Minnetonka,MN and Kjersti(Nic) Van Bergen of Plymouth,MN; 20 grandchildren –Aaron Saterdalen(Johanna Vilijamaa), Katrina Saterdalen, Ian Saterdalen, Josh Saterdalen, Evan Saterdalen, Hayley(Jamie) Maxwell, Mallory(Justin) Harbaugh, Lance Kafka, Amanda(Nelson) Dubon, Atley Johnson, Reese Johnson, Devon Rose, Madi Rose, Aislyn Gorder, Ahyna Gorder, Quinlan Kodet, Ben Kodet, Anna Kodet, Violet Van Bergen and Sunneva Van Bergen; 8 great grandchildren – Kaydn, Mollie, Huntley, Bricelyn, Braxton, Liam, Casen and Sophia; niece –Jennifer Leslie(Slack) and nephews – Chris Slack and Jeremy Slack. He was preceded in death by an infant daughter – Katrina, his parents and his sister – Carol Slack.